Hello! My name is Benjamin Brandt, I'm an independent CERTIFIED FINANCIAL PLANNER™ located in Bismarck, North Dakota. I founded Capital City Wealth Management because I want to empower my clients to have confidence in their retirement goals. You can read about our team on our about page. Feel free to look around and check out our blog. We are a Bismarck, North Dakota Registered Investment Advisor. We have the express purpose of walking with our clients and assisting them on their path to an amazing retirement. We will help you navigate the confusing decisions around social security claiming strategies as well as coordinating and facilitating retirement account draw-downs. We approach the financial planning process with the heart of a teacher and implore our clients to only execute financial plans that they fully understand. We'd love you to check out our podcast on iTunes! As a CERTIFIED FINANCIAL PLANNER™ professional, I specialize in overseeing clients’ transition into retirement, making the process as stress-free as possible. Tackling one’s own retirement strategy can be overwhelming with different brokers, multiple commission structures, avoidable penalties and the uncertainty of sufficient retirement income. Capital City Wealth Management can become a retiree’s single point of contact, working on a predetermined fee structure and understanding the rules and regulations involved in retirement income planning. Capital City Wealth Management understands that the most import aspect of our business is gaining the trust of clients. In contrast to other financial services, CCWM is not in the business of selling financial products or earning commissions. We are solely here to serve and improve our clients’ monthly retirement income while saving them time, money and energy. We guide our clients through the retirement process and help them understand their own, personalized investment strategy. 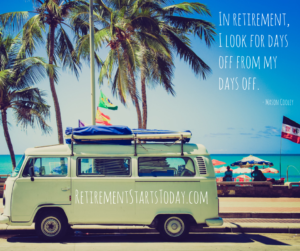 Our retired clients are able to budget what their monthly retirement income years into the future.